Clarice Lewis Butler, 86, of Dublin passed away Tuesday, November 14, 2017. She is preceded in death by her parents Alfonzo and Eva Lewis, husband Vance Butler Jr., three brothers: Norval, Ennis and Tom Lewis, two sisters: Martha Fayak and Mary Lou Carroll, granddaughter Amanda Norris and one son-in-law Billy Harrelson. 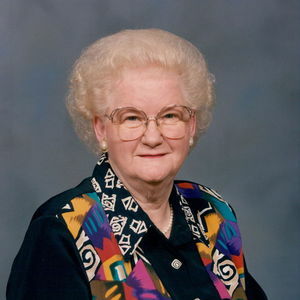 Clarice is survived by six daughters: Linda Harrelson of Clarkton; Teresa Norris and husband George of Rockingham; Beverly Brady and husband Dean of Elizabethtown; Van and Joe Carson of Florida; LaVonda Tatum and husband Johnny of Elizabethtown; Jennifer Britt and husband John of Winston Salem; sister Barbara Edwards and husband Donald of Oak Island; sister-in-law Louise Butler of Dublin; eleven grandchildren: Shane Harrelson and wife Angela, Ashley Harrelson, George Norris and wife Megan, Brandon Norris and wife Morgan, Dax Brady, Loren Melvin and husband Stan, Johnathan Tatum and wife Dianna, Matthew Tatum and wife Michelle, Brek Haire and wife Katie, Colby Britt, and Claire Britt, nine great-grandchildren: Tyler, William, Carson, Hadley, Tristan, Kameron, Peyton, Avery and Weston, a special cousin Lillou, a very special family member Lizzie Daniel and many friends. Clarice met the love of her life Vance Butler Jr. and married him in 1947. From that union, they had six wonderful daughters. She and Vance Jr. loved each other dearly and had a full life together until his death in 1991. After his death, she remained true to her love and lived for their family. Clarice was always on the go doing for others. She was a faithful, loving, kind, and generous woman that will be greatly missed. The family will receive friends from 7-9 pm on Thursday, November 16th at Bladen Gaskins Funeral Home in Elizabethtown. A funeral service will be Friday, November 17th at 3:00 pm at the Dublin Pentecostal Freewill Baptist Church in Dublin officiated by Rev. Warren Hill. Burial will follow the services in Bladen Memorial Gardens in Elizabethtown. Add your thoughts, prayers or a condolence to Clarice's guestbook.